Come be a powerful voice for diversity and against xenophobia, antigypsyism and antisemitism! 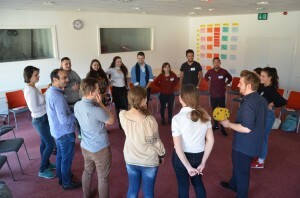 Together with over 30 motivated young activists from across Europe, we seek to strengthen Jewish-Roma cooperation and social action throughout the continent. This time with a focus on Combating Online Hatespeech! After an enriching study-session last November, as well as many joint events ever since 2015, EUJS and Phiren Amenca are focusing on the online dimension of our joint work and want to provide you with the tools to tackle hateful rethoric online and promote positive discourse instead! ​​Who​​ are​​ we ​​looking ​​for? 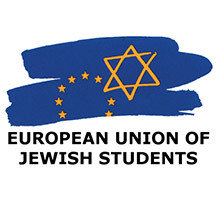 European Union of Jewish Students (EUJS) is a pluralistic, inclusie and non-partisan umbrella organisation. ​​Participation ​​fee: 50 EUR, deducted from the travel reimbursement of the participant. If you have any concerns covering this fee, please don’t hesitate to contact us. This activity is disability friendly.